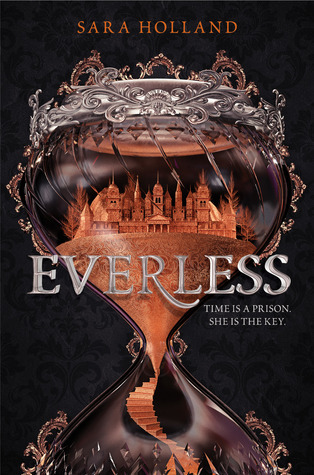 This week on WoW is Everless by Sara Holland. I've been in love with this book premise since I first read it's synopsis: to extract blood to increase one's blood span? You can count me in! Am I happy about the love triangle? No! You know how much I hate those... But the cover is so pretty that I can't resist this novel. If you were lucky enough to receive an ARC, I'm jealous (all my attempts were failed). The book will be released on January 2nd 2018. Lovely cover. I've seen it around quite a bit and I'm interested in hearing some reviews. So excited for this one! It sounds amazing and the cover is beautiful. Thankfully, the wait isn't too long now. I'm glad the wait isn't too long now. Everything about this book seems perfection, so I NEED it. I hope we both enjoy it a LOT. I'm really excited for this one, that premise is just too good! I am seeing a lot of raves for this one. I hope you love it too! This is one that is getting so much love recently. I'm curious as to the reviews when they start coming out. I read a few reviews already and they are ravishing. I need this book ASAP! I just entered a Goodreads giveaway for this book. It sounds so amazing! Aw, this is on my wishlist too. The cover is sooo amazing, I hope it looks for real the same as it does on the pictures. Great pick!